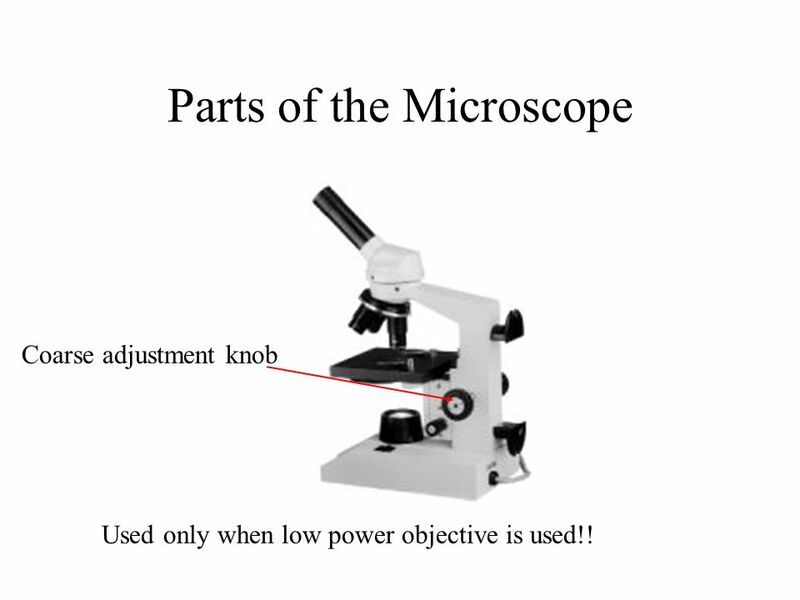 Coarse adjustment knob Used only when low power objective is used!! 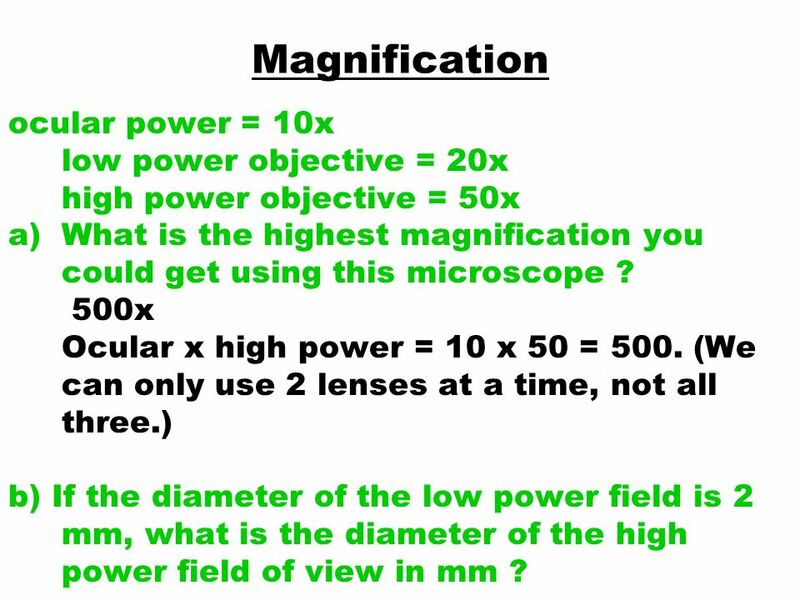 11 Magnification ocular power = 10x low power objective = 20x high power objective = 50x What is the highest magnification you could get using this microscope ? 500x Ocular x high power = 10 x 50 = 500. (We can only use 2 lenses at a time, not all three.) 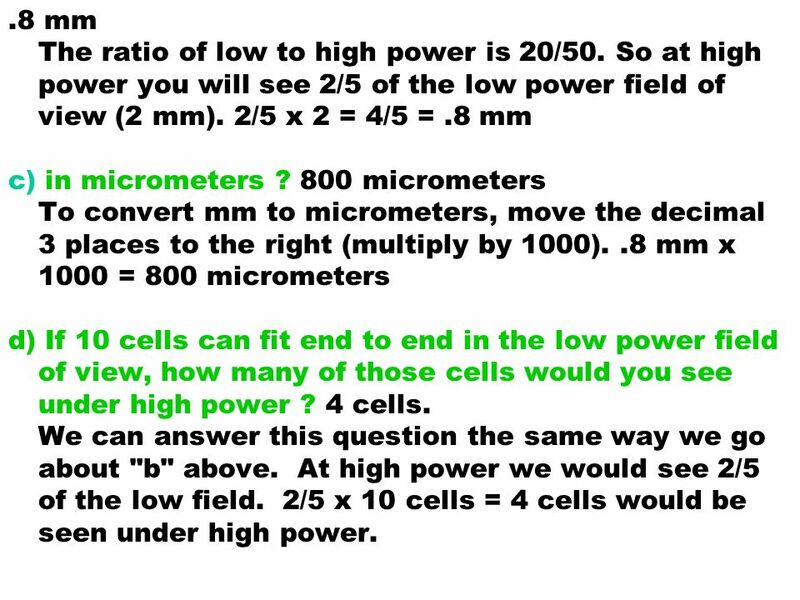 b) If the diameter of the low power field is 2 mm, what is the diameter of the high power field of view in mm ? .8 mm The ratio of low to high power is 20/50. So at high power you will see 2/5 of the low power field of view (2 mm). 2/5 x 2 = 4/5 = .8 mm c) in micrometers ? 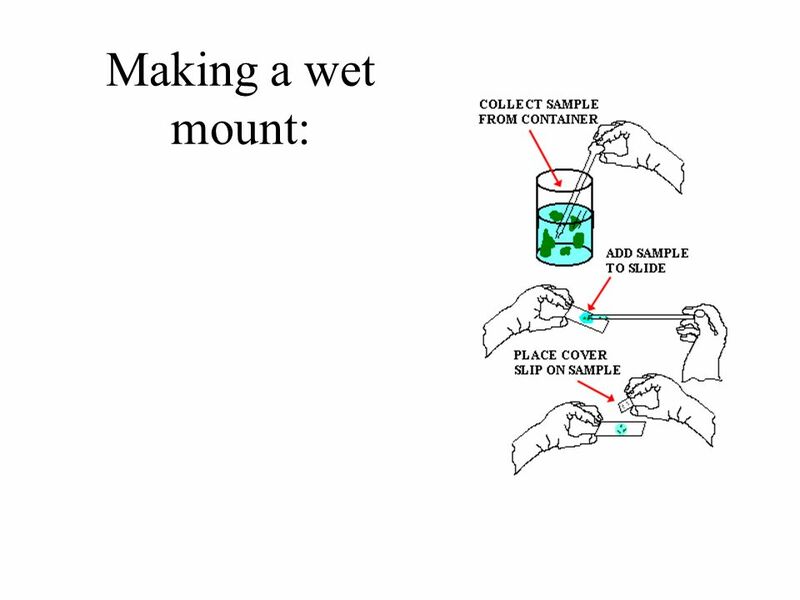 800 micrometers To convert mm to micrometers, move the decimal 3 places to the right (multiply by 1000). .8 mm x 1000 = 800 micrometers d) If 10 cells can fit end to end in the low power field of view, how many of those cells would you see under high power ? 4 cells. We can answer this question the same way we go about "b" above. At high power we would see 2/5 of the low field. 2/5 x 10 cells = 4 cells would be seen under high power. 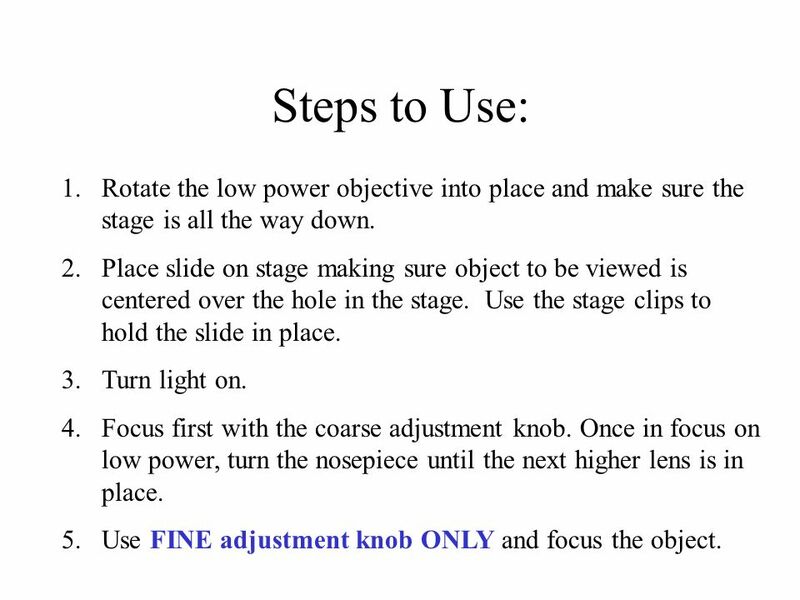 14 Steps to Use: Rotate the low power objective into place and make sure the stage is all the way down. Place slide on stage making sure object to be viewed is centered over the hole in the stage. Use the stage clips to hold the slide in place. Turn light on. Focus first with the coarse adjustment knob. Once in focus on low power, turn the nosepiece until the next higher lens is in place. Use FINE adjustment knob ONLY and focus the object. 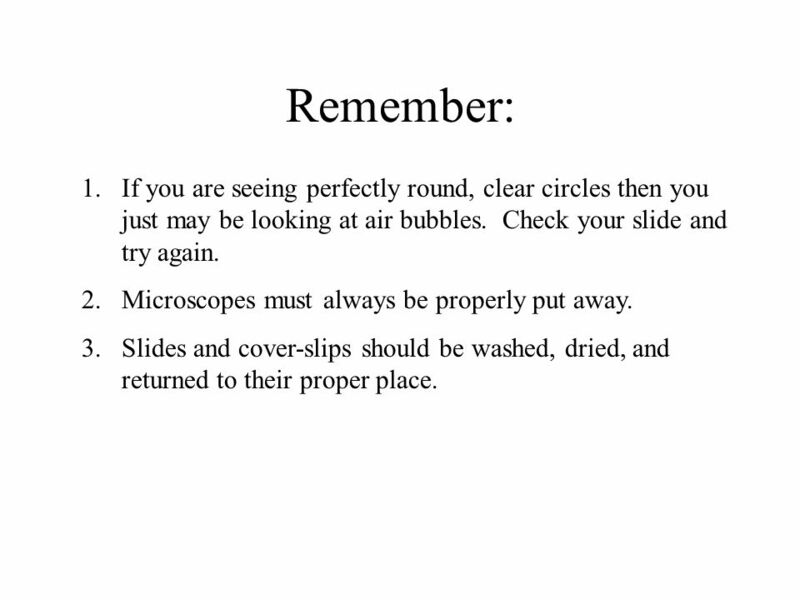 18 Remember: If you are seeing perfectly round, clear circles then you just may be looking at air bubbles. Check your slide and try again. Microscopes must always be properly put away. 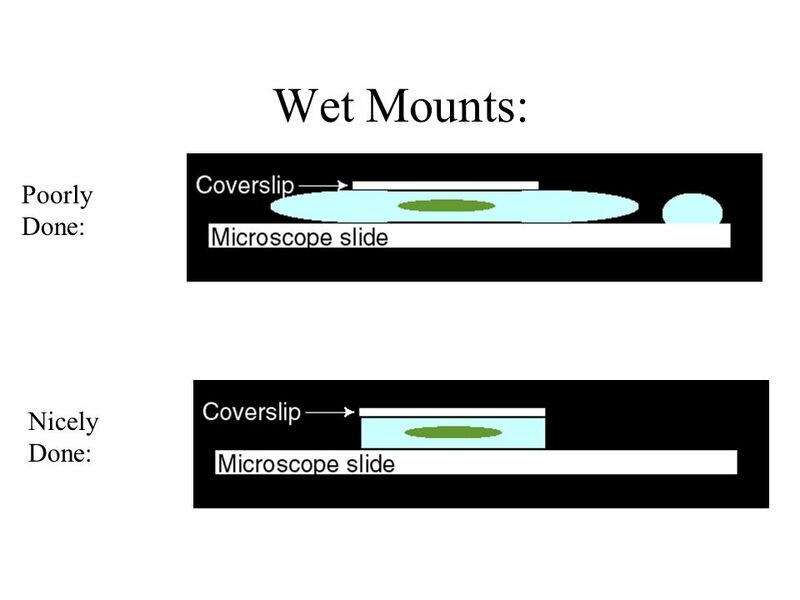 Slides and cover-slips should be washed, dried, and returned to their proper place. 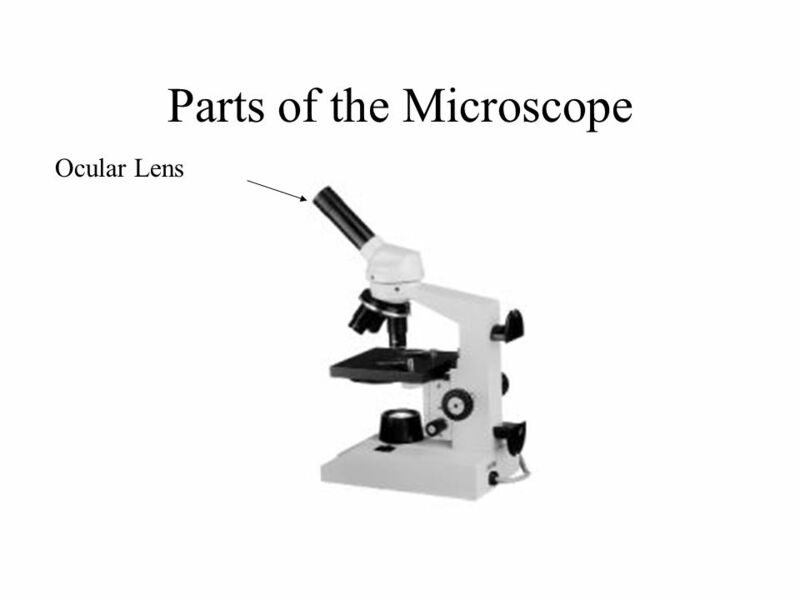  Identify the parts of a compound light microscope and explain their functions  Define magnification  Calculate the total magnification of the lenses. Using the Microscope That gizmo pictured to the left is a BIG deal. It literally opened up worlds of organisms and information to scientists. It's importance. 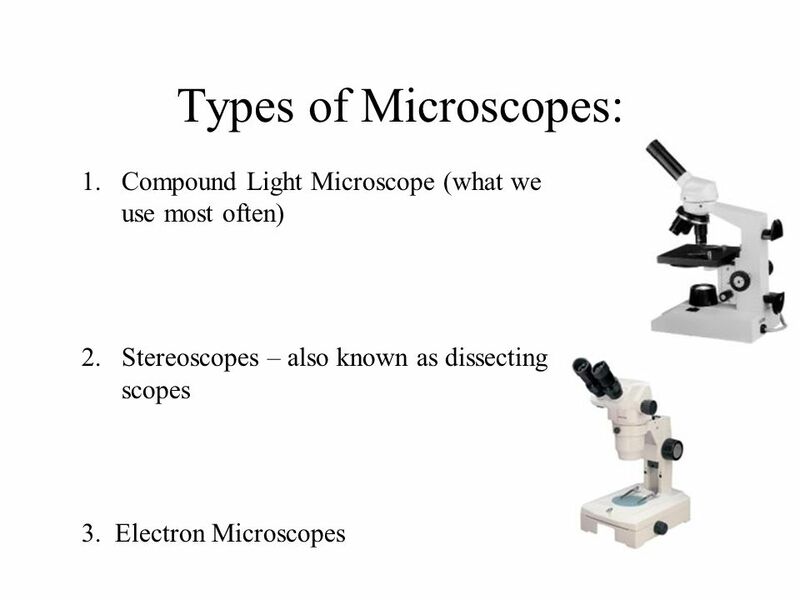 Bellwork Why do scientists use Microscopes? Laboratory 1 Light Microscope Eyepiece Contains a magnifying lens that you look through. 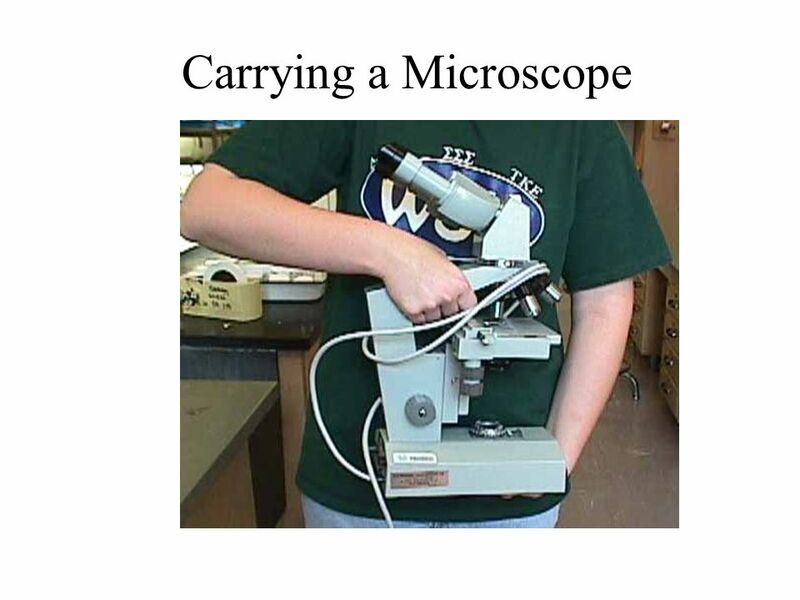 PLEASE DO NOT TOUCH THE MICROSCOPES AT YOUR DESKS!!! T. Trimpe Body Tube Nosepiece Objective lenses Stage Clips Light Ocular lens (Eyepiece) Arm Stage Coarse adjustment focus. Light Microscope Parts and Functions. A. 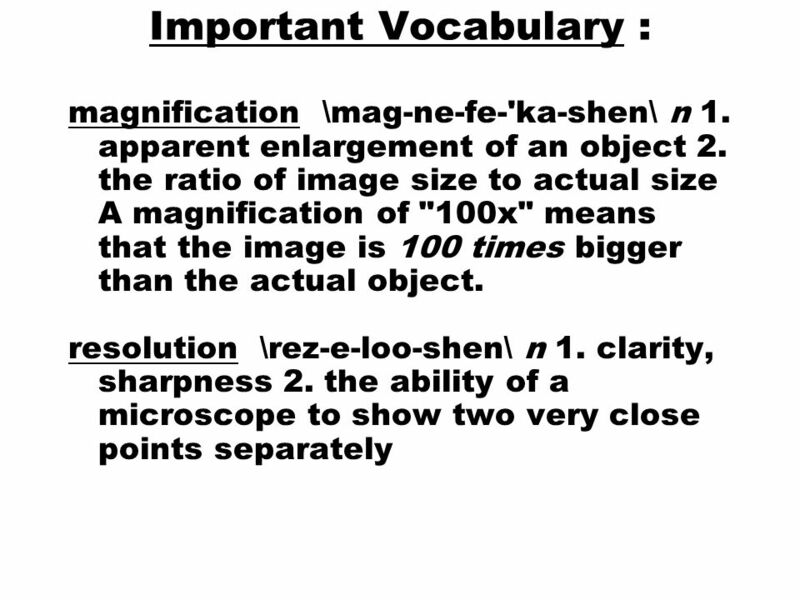 Eye piece Contains the ocular lens Magnification 10x. 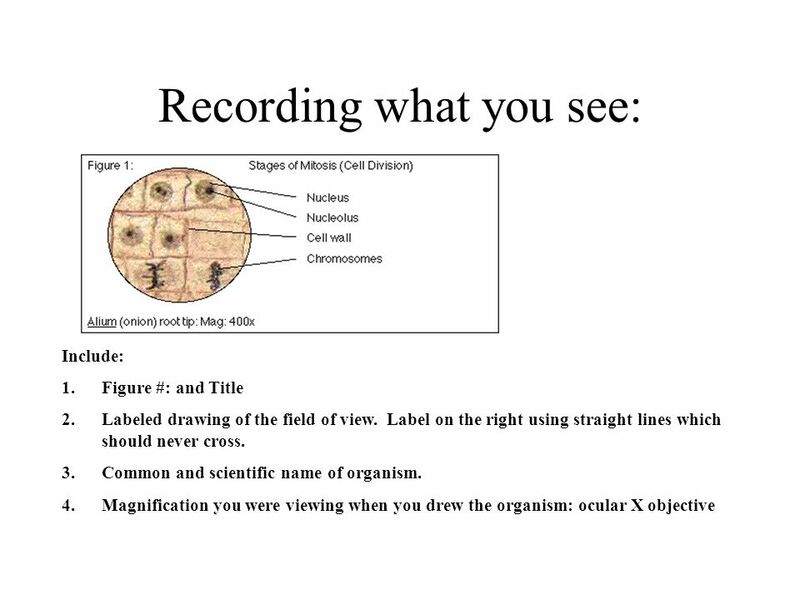 Microscopy Lab 3. 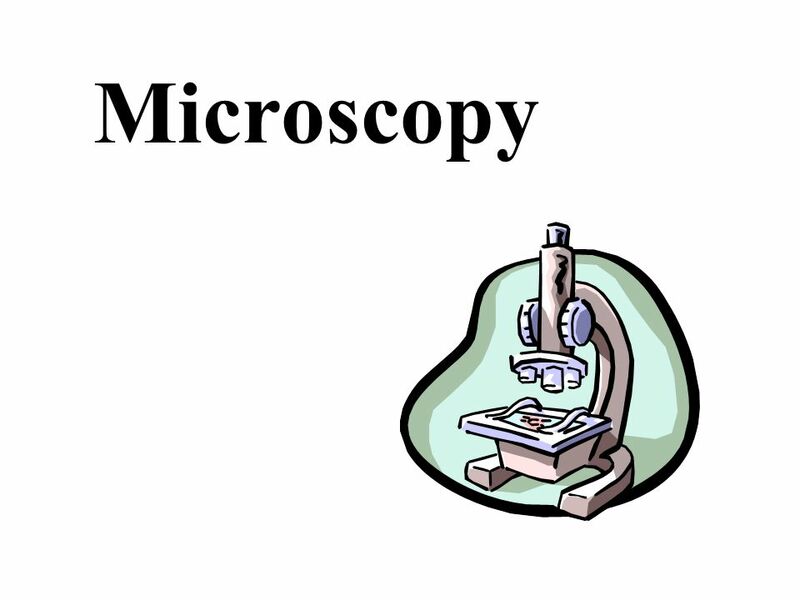 Microscopy  Microscopes are used to view things that are too small to see without help. Dissecting microscope – view entire 3-D objects. Body Tube Nosepiece Objectives Stage Clips Light Ocular lens (Eyepiece) Arm Stage Coarse Adjustment Fine Adjustment Always carry a microscope with one.